The life and teachings of Sri Ramakrishna have had, and still do have, an enormous impact on spiritual evolution. Even today, people from around the world find inspiration from his example of dedication and take comfort in His universal teachings. Sri Ramakrishna, who is also referred to as Ramakrishna Paramahansa, Ramakrishnaji, Ramakrishna Deva, Thakur, and Thakurji, lived His life with uninterrupted contemplation on God. He demonstrated the meaning of devotion, developing such a deeply sincere and intense longing for God, that He could not think of anything else. Ramakrishna Paramahansa practiced the basic tenets of all the world’s religions and personally verified the Truth of each of them. As a result, spiritual aspirants of all religions feel drawn to his life and teachings. 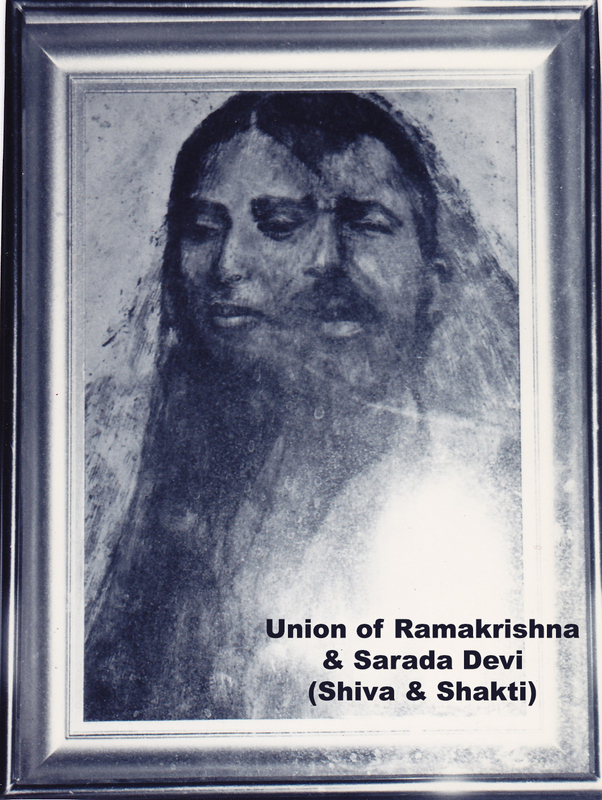 Both Shree Maa and Swami Satyananda Saraswati have derived significant inspiration from Sri Ramakrishna. 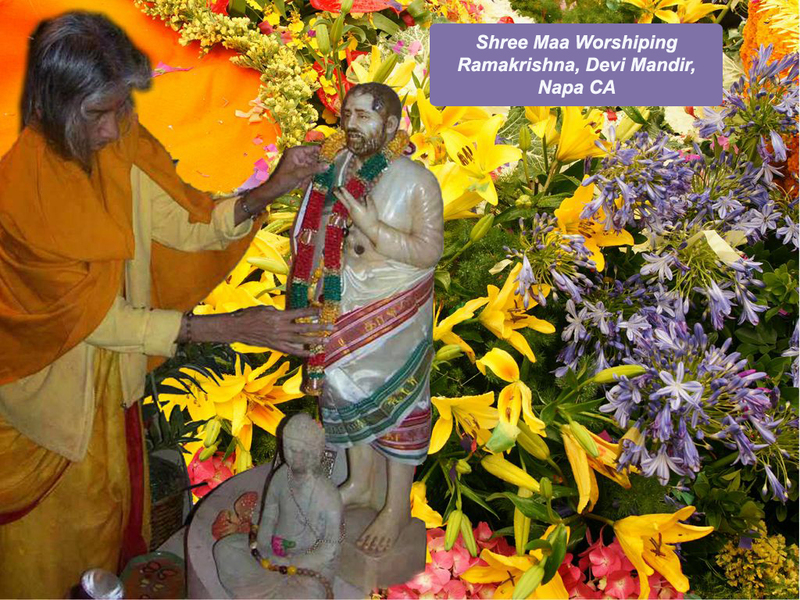 Shree Maa regards Ramakrishna as Her Guru. Even as a young girl, Shree Maa felt a special relationship with Thakur, who has directed Her, taught Her, and protected Her, in various ways throughout Her life. Please see the books: Shree Maa, Life of a Saint, and Living with the Soul. 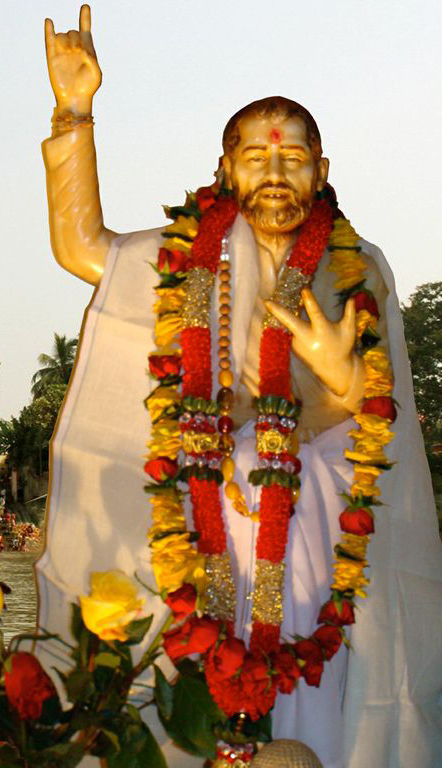 Ramakrishna Deva, who is regarded by many as an avatar (incarnation of God), taught that there is One God for us all. This One God may be called by many names in many languages, but, it is still One supreme power. This absolute power remains One and only One – only the name differs from religion to religion. 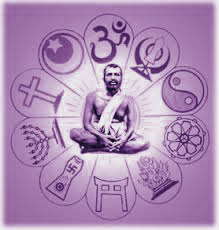 Ramakrishnaji taught that the various religions are just different aspects, or views, of the One Eternal Truth. As such, all of the religions are complementary, not contradictory. This teaching was one of His greatest contributions to the modern world, as it increased the harmony among the world’s religions. Thakur also taught that the goal of human life is to realize this One God, and, as many as there are individuals, so are the many ways of worshiping the One God. All of the paths to God work – whether it be through dedicated service to humanity, prayer, mediation, rituals, japa, or devotional singing. However, all beings need to take the time for God in their chosen paths, and approach God with the utmost sincerity of devotion. Swami Ramakrishna was very humble, often stating that He himself is a servant of God. He taught that the only room for pride would be in the thought that you are a child of God, or a servant of God. All other pride should dissolve. Sri Ramakrishna worshiped the One God as the Divine Mother and taught that all women are aspects of the Divine Mother. As a priest, Ramakrishna performed the Shodashi Puja (a worship ritual for the Divine Mother) to his wife, Sarada Devi. The Holy Mother Sarada Devi was greatly influenced by Sri Ramakrishna’s teachings and the two of them, though in separate bodies, were united in thought, word and deed. Join us on Wednesday, March 13th at 6:00 pm, either at the Devi Mandir temple or on the live webcam, as we honor Sri Ramakrishna. We will be performing the Vishnu Puja, chanting the Guru Gita, and singing devotional songs. For the Vishnu puja, we reference the Shiva Puja Beginner Book and change the mula mantra from “Om Namah Shivaya” to “Om Namo Bhagavate Sri Ramakrishnaya Namah”. The Shiva Beginner Puja is also available as an iPad App. The Guru Gita can be found in the book Shree Maa: The Guru and the Goddess and is also available as an iPad App. View Swamiji’s Guru Gita Video classes to learn more about the meaning and significance of the Guru Gita. Shree Maa and Swamiji have translated several of Ramakrishna’s stories and songs in sat sanghas (also called satsangs) around the world. 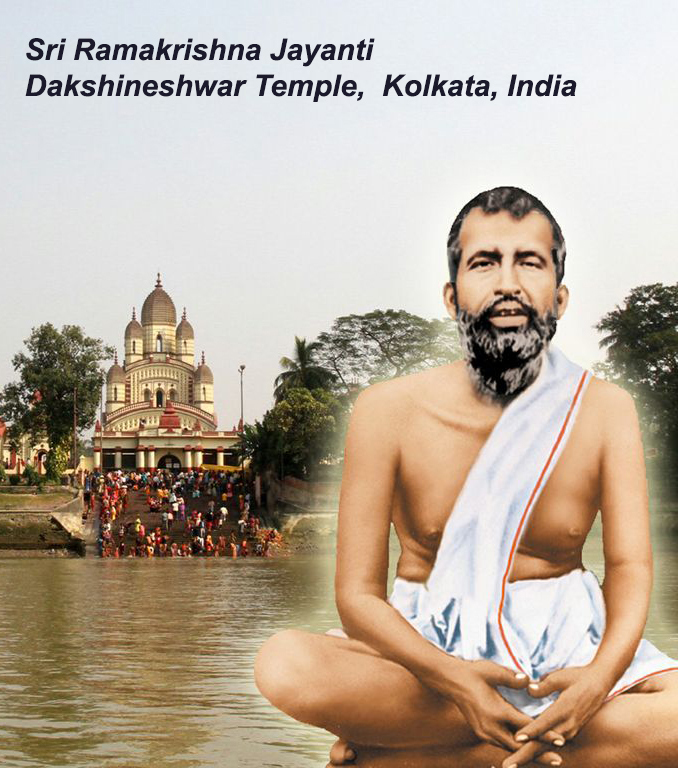 Shree Maa and Swamiji’s book Ramakrishna The Nectar of Eternal Bliss, is a beautiful translation of their understanding of Mahendranth Gupta’s Bengali book Kathamrita, which is a diary of experiences and conversations with Sri Ramakrishna. View Swamiji’s loving expression of these teachings in the Ramakrishna Video Classes. May Sri Ramakrishna’s message of harmony guide you to the One God! May His life and teachings ever inspire you!